My older two are absolutely at the roleplaying age. Practically all of their play revolves around them pretending to be something or someone else, and a lot of the time that means acting out things they see. 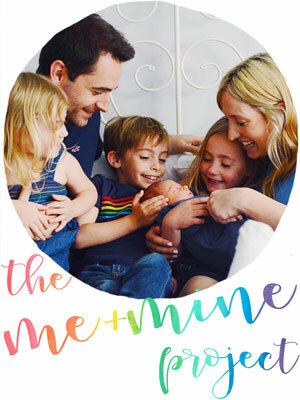 Of course with a new baby in the house, good old 'mummies and daddies' gets played a lot, and I always find it hilarious to watch them pretending to be me and their daddy... nothing makes you quite so aware of your own quirks as when a child is play acting at being you! Apparently Daddy shouts quite a lot, and Mummy is always holding the baby! 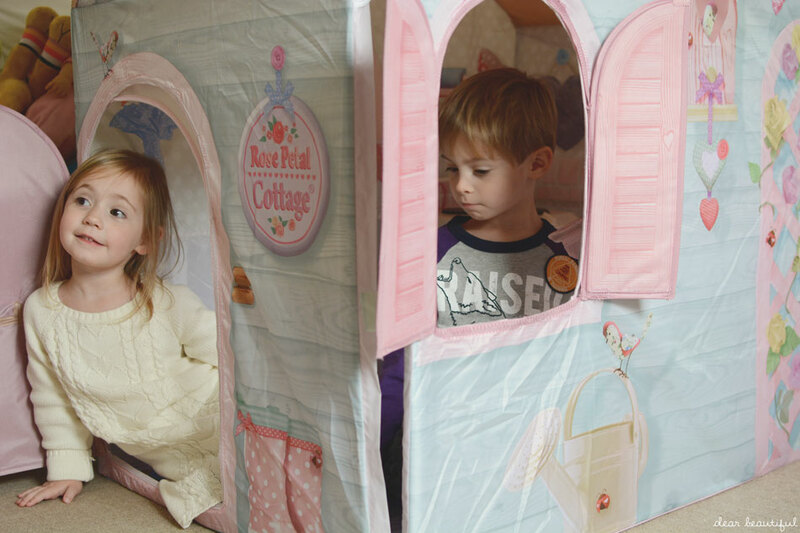 So when they were given the chance to enrich that play with their own little play house, how could I possibly say no. 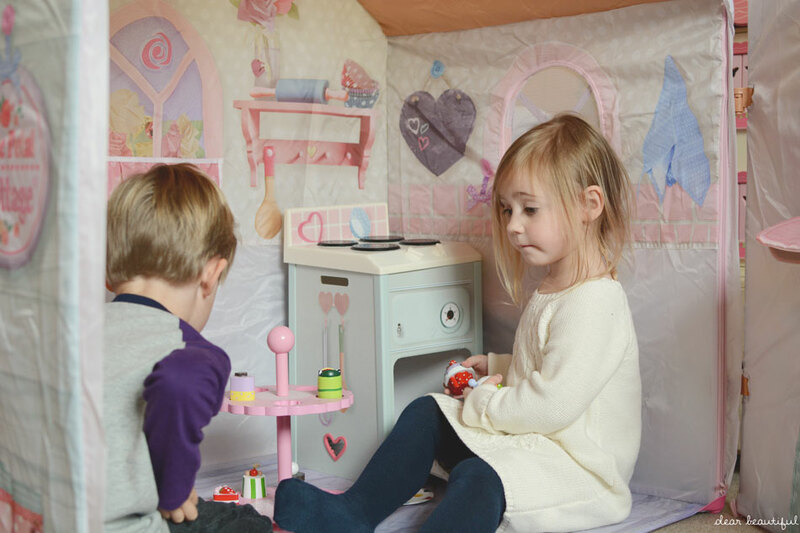 They have so loved playing in their Rose Petal Cottage from DreamTown ever since we first assembled it. 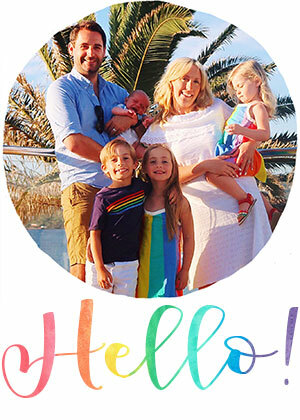 They have played house happily together as a mummy and daddy, they have played restaurants in it while eating copious wooden cake, they have filled it with toys and quietly read stories in it. It's been a hit. The quality of the Rose Petal Cottage is great. It did take Rich a little while to build, but the result is that it doesn't feel flimsy like some wendy house type tents can. 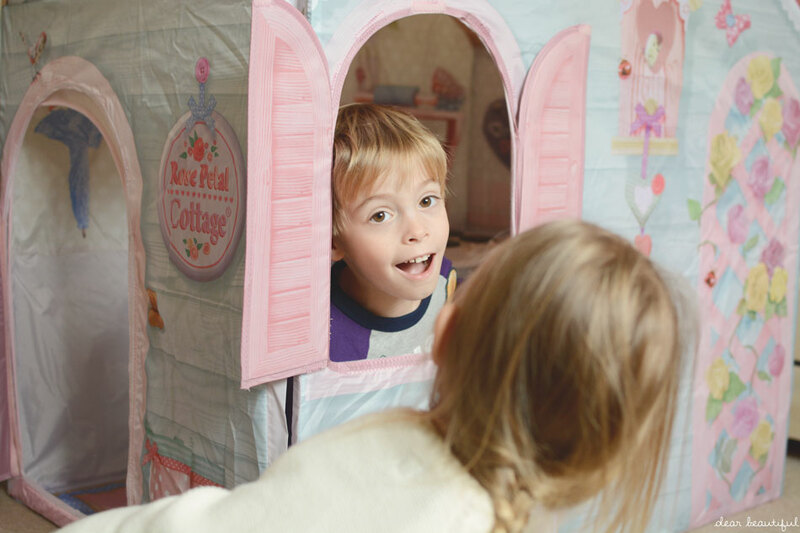 And I absolutely love that it is pretty and patterned both inside and out, as children's tents can so often be decorated on the outside and then plain inside. 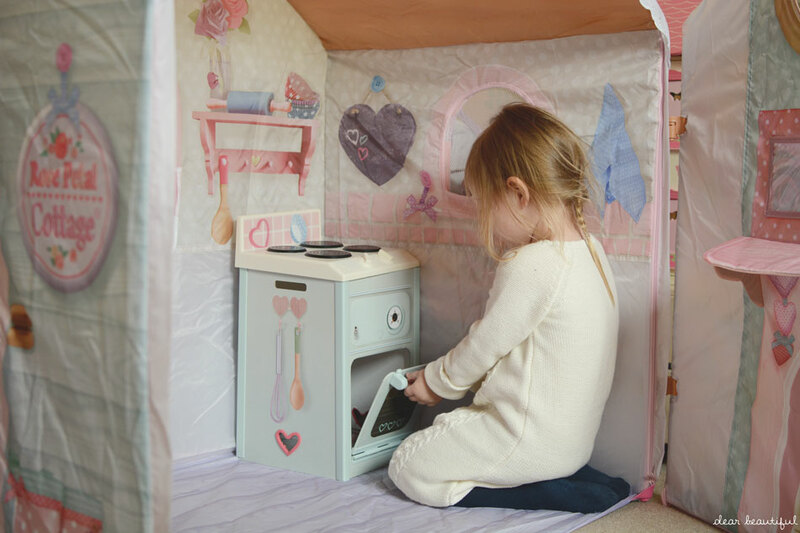 The fact that it comes with it's own little play oven too is amazing, it really takes it from just a simple play tent to a little mini house for children to play in. 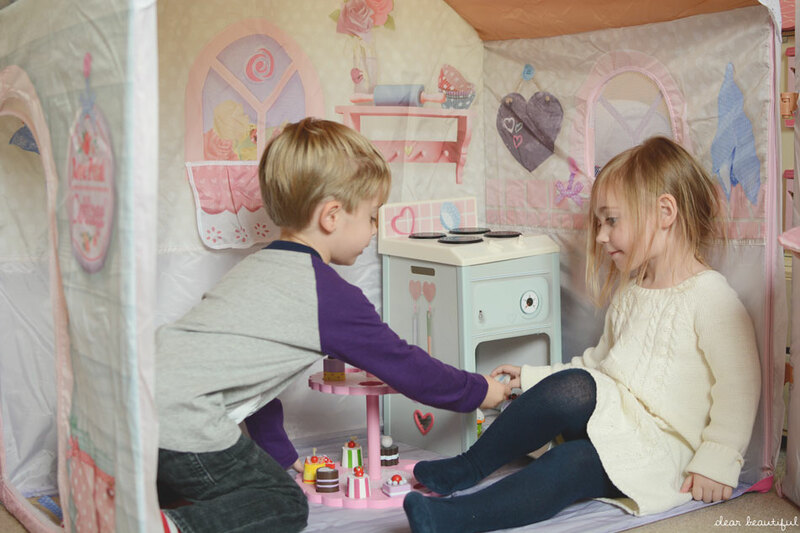 DreamTown's Rose Petal Cottage retails for £99.99, which I think is a great price considering the quality and design of the house, and the fact that you also get a play oven too. 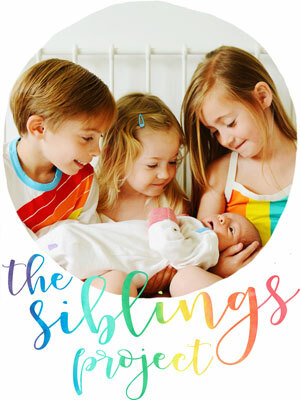 It makes a great gift for a preschooler, and my two have totally loved it from the moment it was first set up. We were sent the cottage for the purpose of this review, but all opinions are my own.